In his first book, Living the Fruit of the Spirit: Lessons from Barney Rubble, Psychologist and Christian writer Dr. Kevin Fontaine created a classic that continues to educate, inspire, and entertain readers with its delightful look at how Fred Flintstones’s sidekick Barney Rubble teaches us how to live a happy, joy-filled life. 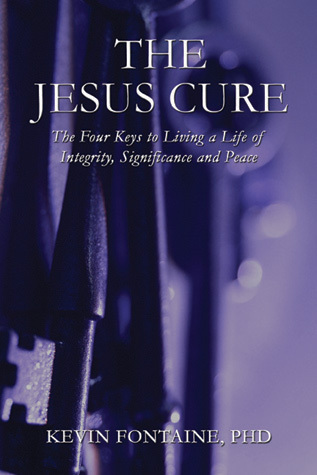 In The Jesus Cure: The 4 Keys to Living a Life of Integrity, Significance, and Peace, Dr. Fontaine describes the 4 characteristics that made Jesus the most integrated human to ever live. Drawing upon scripture, personal experience, and contemporary culture, Dr. Fontaine argues that the remedy for our chronic emotional distress and moral decline is to imitate the way Jesus lived. •How and why pain, despair, and instability characterize our lives. •How the philosophy of moral relativism is destroying our culture. •How and why Jesus’ life is the model of optimal human living. •The 4 keys that make Jesus the most fully functioning person who ever lived. The Jesus Cure is not a dry, theological book – it’s a guide to remedy the selfishness and excesses of our times. The Jesus Cure is the blueprint for living a satisfying life that makes a difference.